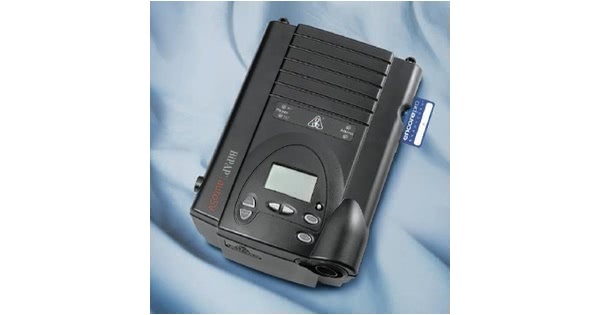 Newer Model Available: REMStar BiPAP AutoSV Advanced. 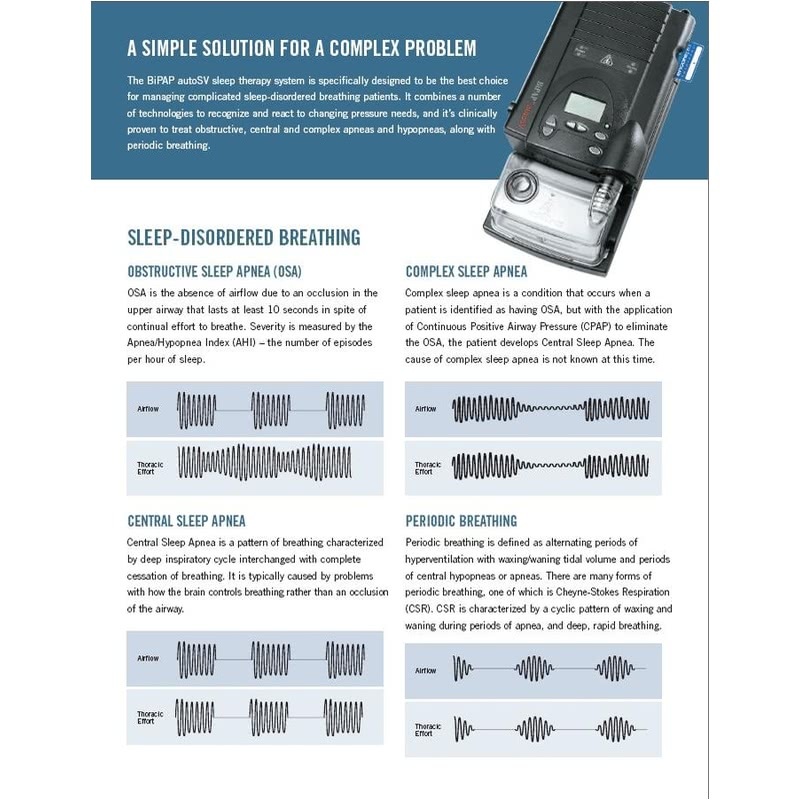 Complex Sleep Apnea occurs when a person is identified as having Obstructive Sleep Apnea but develops Central Sleep Apnea when using a CPAP machine. The cause of Complex Sleep Apnea is unknown at this time. 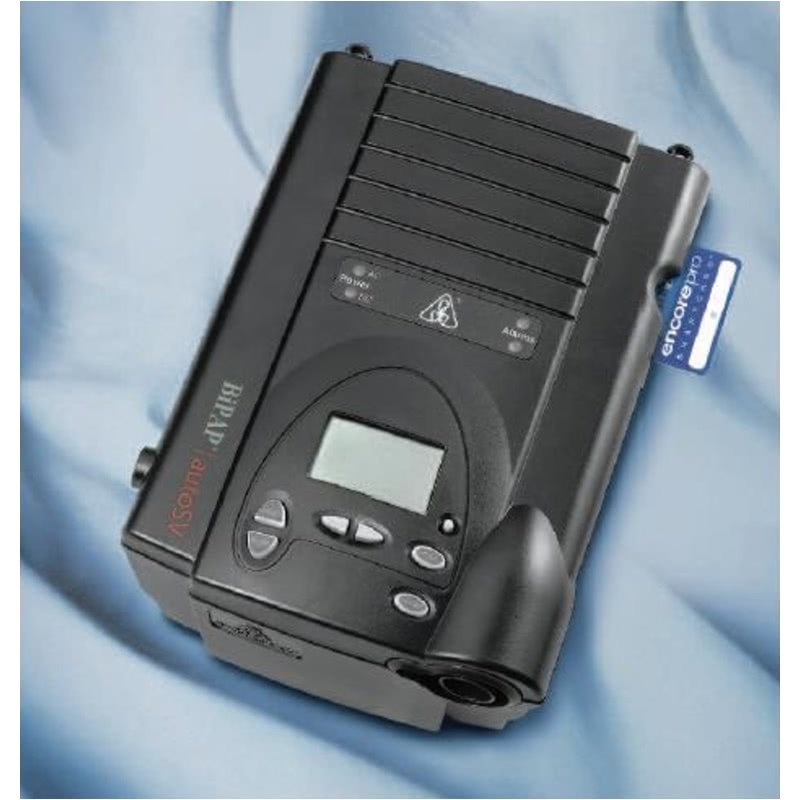 The Bipap Auto SV sleep therapy delivers optimal therapy for complicated sleep-disordered breathing patients utilizing a multilevel algorithm. On a breath-by-breath basis, this revolutionary algorithm uses Digital Auto-trak Sensitivity to change pressure support, when necessary, to maintain a stable breathing pattern. 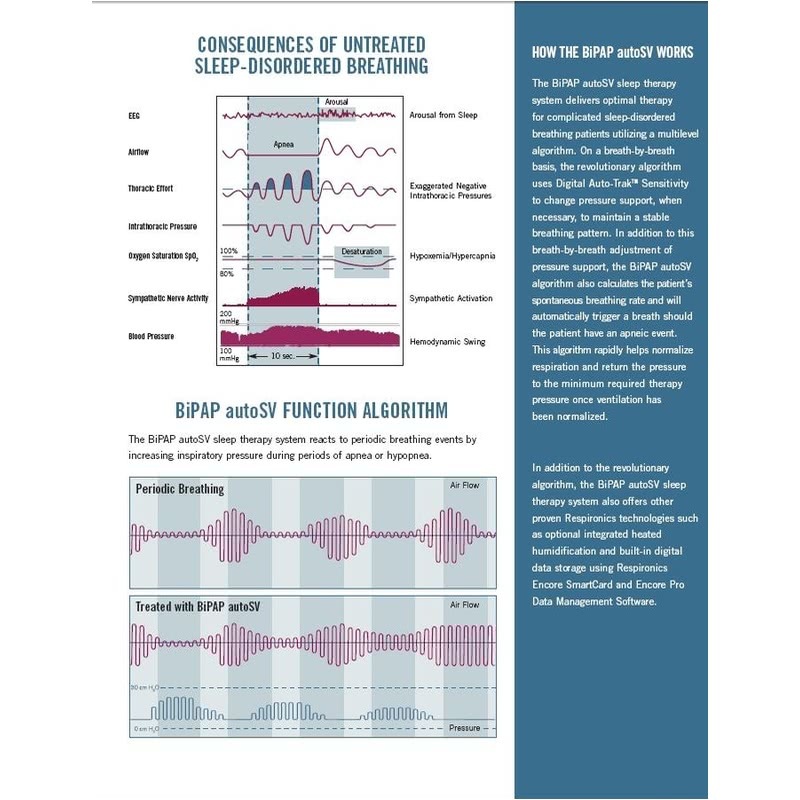 In addition to this breath-by-breath adjustment of pressure support, the Bipap Auto SV algorithm also calculates the patient's spontaneous breathing rate and will automatically trigger a breath should the patient have an apneic event. This algorithm rapidly helps normalize respiration and turn the pressure to the minimum required therapy pressure once ventilation has been normalized. 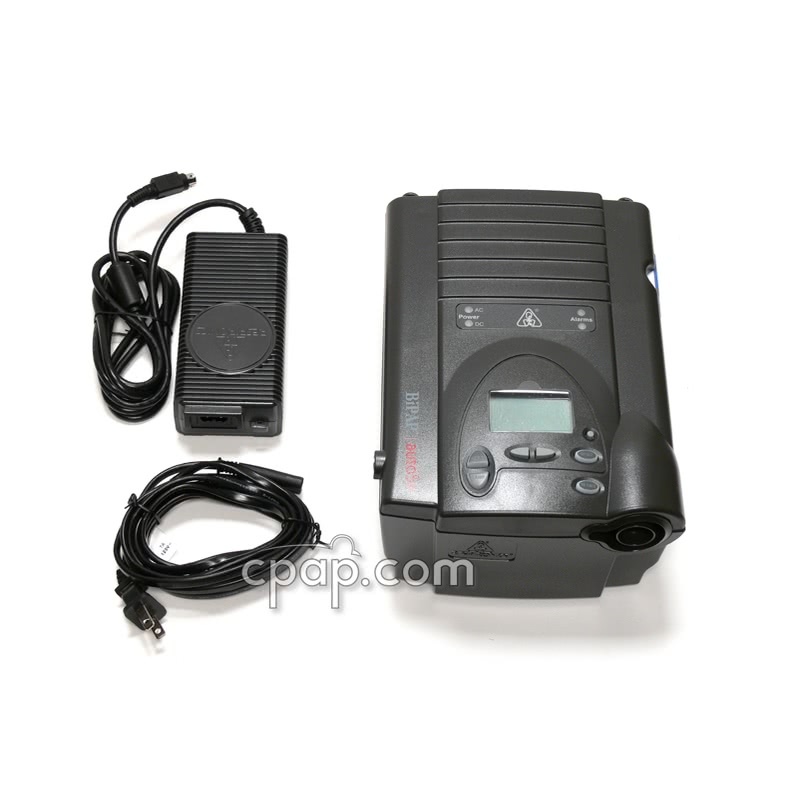 In addition to the revolutionary algorithm, the Bipap Auto SV sleep therapy system also offers other Respironics technologies such as optional integrated heated humidification and built in digital data storage using Respironics Encore Smartcard and EncoreViewer Data Management software.